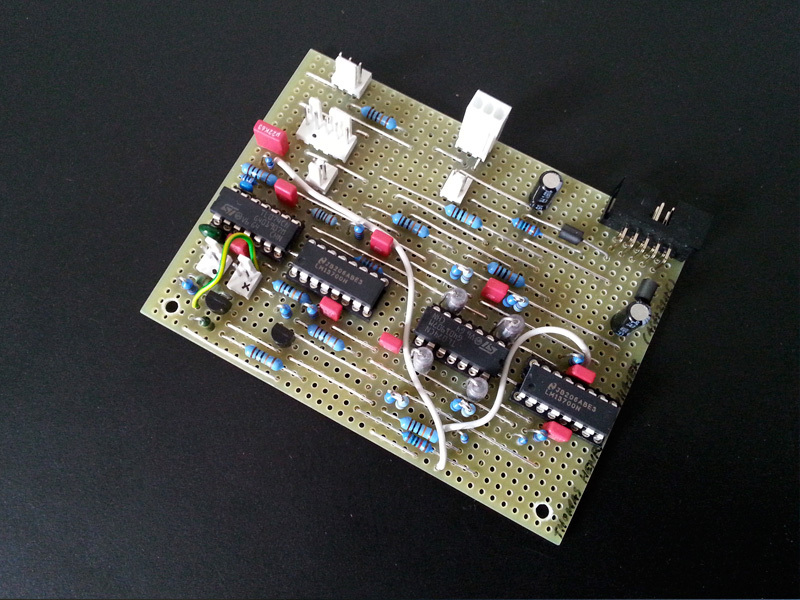 For example, if I had 1/4" inputs and outputs on every module, (VCO, VCA, VCF, ADSR, Noise, etc. ), I would be able to create a signal path using instrument cables in whatever order I please right? As long as the voltage controlled oscillators, voltage controlled amplifier, and some arbitrary speaker or output, I should be able to get sound coming out right? Yes, if you have them hooked up correctly. Also, concerning the keyboard, I am trying not to spend over $500 total for this project (hardware), so getting a MIDI to CV converter is probably out of the question since I've only seen those that are above $100. I know control voltage is decided by which keys are pressed on a CV keyboard but how are the gates and triggers done? Are these signals generated by the keyboard and sent to the VCO, as well as other modules through the same key press that sends the CV signal? That doesn't have complete circuit diagrams, I could probably come up with some given enough time. But if you start from the original circuit by Thomas, and look at the Arduino pins noted in the code, you could figure it out. I'm certain I didn't spend $100 making that. I used a mintduino kit built onto protoboard, and I believe now you can get an Arduino Leonardo for $20 or $25 that doesn't require extra hardware to get your USB connection running. 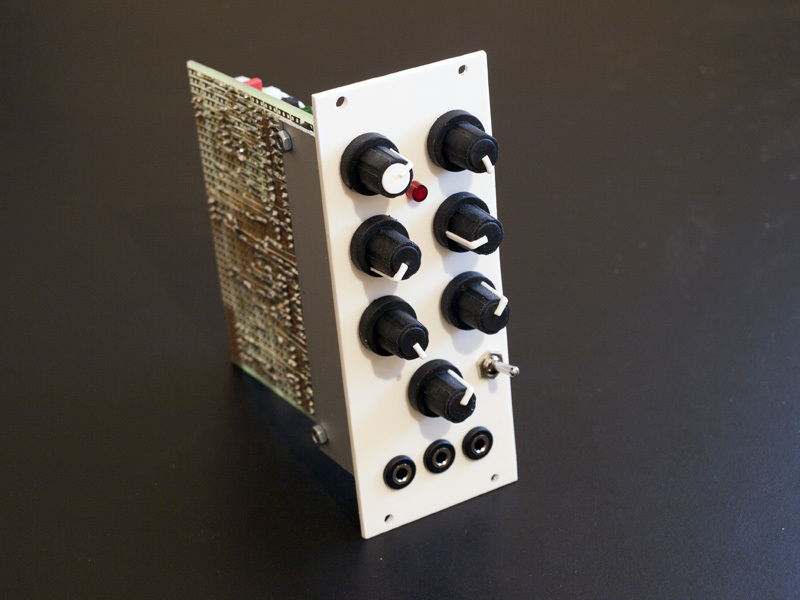 I would really expect if you want to build a significant portion of the circuits from Analog Synth for the 21st Century you will absolutely be spending more than $500. I've done more than just those circuits, but I've spent several times that over the last year, getting a parts stock, getting the necessary tools, buying pots and jacks alone costs a LOT, and it's not clear to me that when you say you have the parts "sorted" whether that includes those particular pieces. I could see getting the other components under $500, but with PCBs and panels and panel components.... not so much. So what is your ultimate goal? The Soundlab Mini Synth and one of these would give you the basics to do a lot of sound generation, and I'm pretty sure it could be done under $500 if you don't count your time investment in the cost. I actually just got an e-mail from Mr. Scott Stites and he actually cleared everything completely up that I ever questioned. It seriously was awe-inspiring. 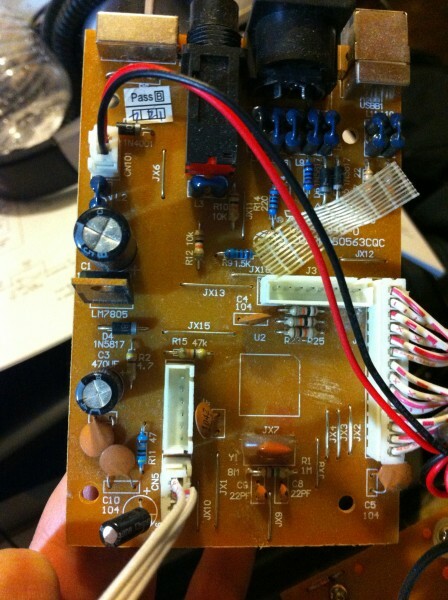 Is there a place that you can send a circuit to and they turn it into a PCB? Is there a place you could go to design rack units/interface panels? Are there any special tips & tricks for the "home depot" side of building a synth? Oh and thanks to all the posters in this thread, you really helped me a lot! Edit: note that it is more complicated than just sending them a circuit diagram; you have to actually send "Gerber files" which define the circuit layout. I don't do that, I get bulk 1/16" aluminum plate cut to 1U, 2U and 3U sizes from http://www.metalsupermarkets.com/ and put stickers on it after I drill the holes. Only one I can think of offhand is buy roof flashing to make into brackets for your PCBs. Works great, though you'll need a pair of tin snips to cut it and be prepared to drill the holes you need....and I usually find a coarse round file helpful when I screw up the hole placement . Cool. I haven't tried the phase shifter yet, but it looks interesting. Let us know what you think of it. Share a sound sample if you can. This is my first phaser, so I can't really compare it, but I like it. I think the resonance/feedback could be a bit stronger - maybe this can be modified... Apart from classic phasing sounds, you can get some interesting VCA-like phase cancellation out of it. Overall it is a more complex module than I expected. I guess I need some more time to play with it. Nice work! That's a very clean stripboard layout. I think the depth of the resonance is about as good as one would expect from a 4-stage phaser, although you might want to play a bit with the feedback and see if a little more gain will help. Also, the 560pF caps would result in a lower overall frequency from the phaser stages. The difference would be worth looking into. 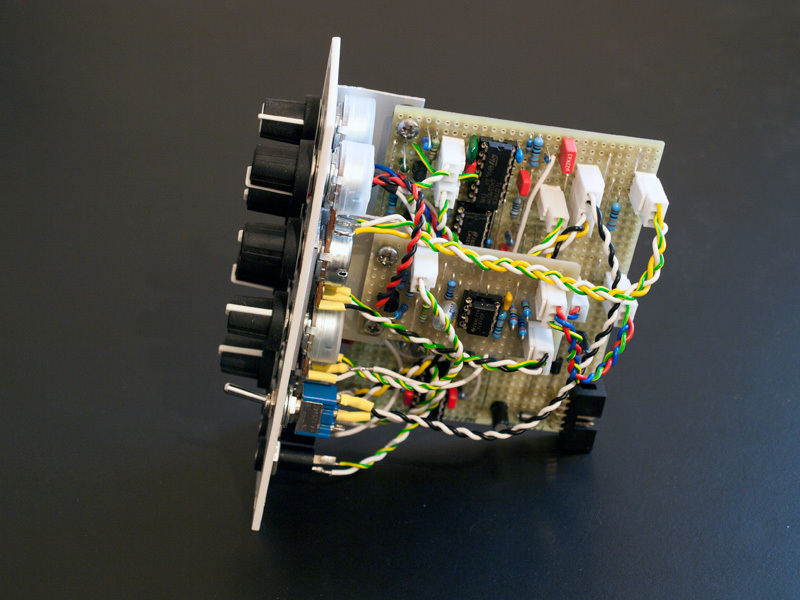 It would also be interesting to hear what 8 stages of this phaser would sound like. The best phaser I've ever heard was the one on the old ARP Quadra, and that had 14 stages, so that gives you some idea of the additional 'depth' afforded by more stages. Unfortunately, the additional circuitry gives you more noise. I think the ARP phaser (and the J.H. 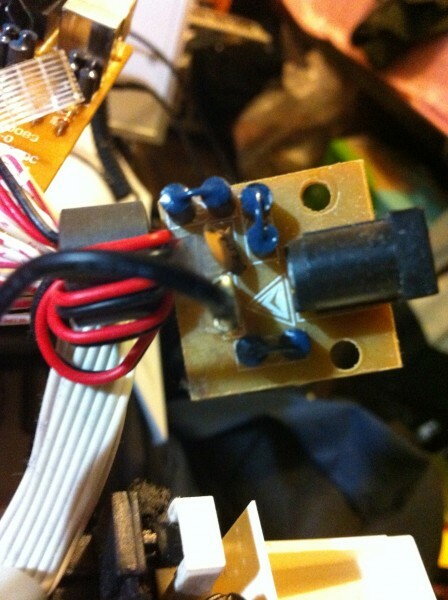 clone) use companding circuitry to reduce the noise levels. Anyway, great work, and thanks for sharing your samples! What are decent size dimensions for the synth rack units? 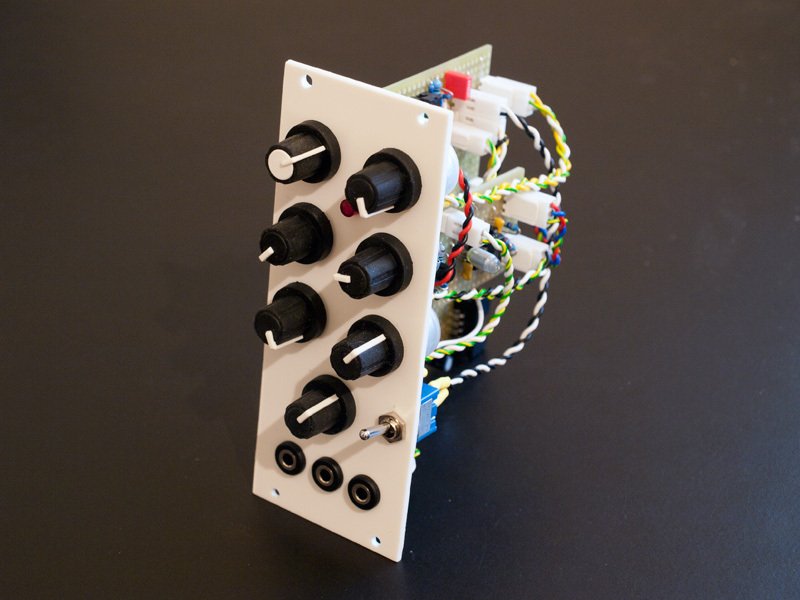 I'm thinking about having 12 units, (2 ADSRs, XRVCOs, VCFs, and LFOs, 1 VCA, Noise Source, Sample/Hold, and Phase Shifter). I'm thinking a 2 full octave keyboard (still haven't decided between MIDI2CV or OG CV). Noise, sample & hold, phaser, not so sure, those could even be combined (noise & S&H have an affinity for example), and I think at one point I intended to do noise + S&H in 1U. I'd advise picking a standard rather than rolling your own, that way if you decided to add more commercial modules or kits you won't have to adapt much. Power standard will be important too. Again I use MOTM 4 or 6 pin .156 headers. I started out rolling my own, and I have ended up building a lot of adapter cables, but I have enough PCBS that support the 4 pin headers that it's easiest for me to stick with. When purchasing Aluminum sheets, I'm only accounting for the panel's height and length right? Maybe an L-shape to physically attach the board to the face panel? 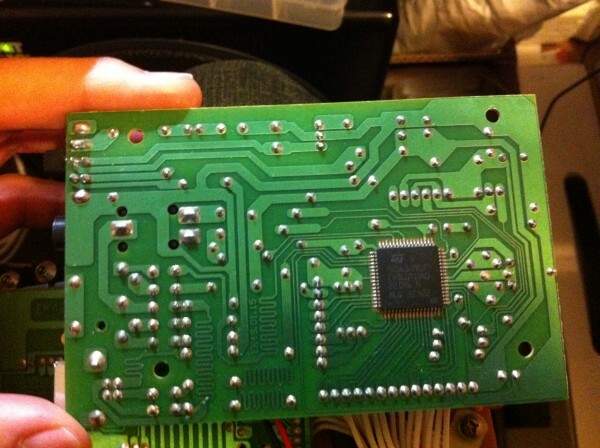 I assume the boards themselves won't be covered by aluminum but rather mounted similar to the Phase Shifter above. I also want to encase it with some see-thru plastic all around the module racks to physically protect the circuits, maybe a wooden finish around the keyboard (unlikely, but I like to dream). Yep. Front panel is always in my experience separate from the mounting bracket. There are several types though. Page through the build threads and you'll see lots of examples. Thanks! I'm curious about the frequencycentral one, too... I might build one and compare... If you feel like building the 21c from my layout, send me a PM - it took quite a bit to layout and would be a shame it was just for myself. .
Nice work! That's a very clean stripboard layout. I think the depth of the resonance is about as good as one would expect from a 4-stage phaser, although you might want to play a bit with the feedback and see if a little more gain will help. Also, the 560pF caps would result in a lower overall frequency from the phaser stages. The difference would be worth looking into. 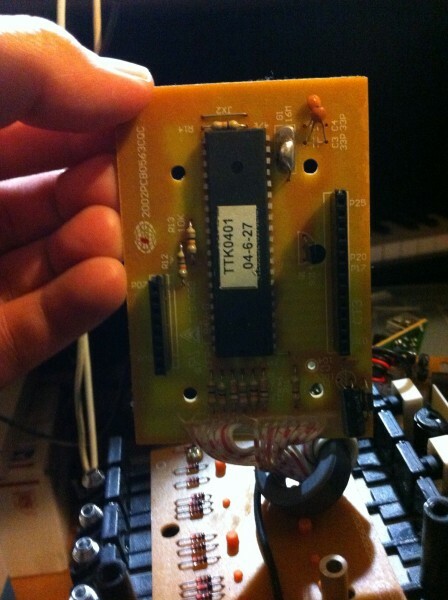 It would also be interesting to hear what 8 stages of this phaser would sound like. 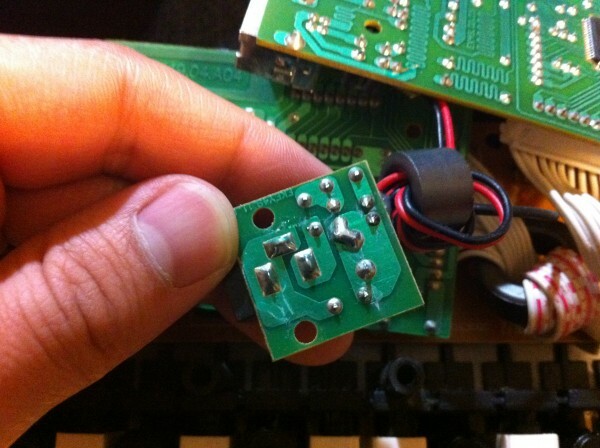 Does anyone have a perfboard example on using bypass caps? Is there a need for a heatsinking/fans? Not sure what you mean about perfboard example using bypass caps. You just need the caps as close as possible to power pins, going to ground. I've always been pretty lazy about where I get ground from, usually there's a ground somewhere nearby. There should be no need for heatsinks or fans on anything but the power supply, and even that should only be heatsinks. I guess what I'm asking is, where exactly do the pins go? And should I be bending these capacitors so that it's physically closer? Ideally you want to have the capacitor as close as possible to the power pin of the IC, with as short legs on the cap as possible. So one leg of the cap should go in a perfboard/stripboard hole right next to the V+ or V- power pin on the IC. Of course, you also need to get power to that pin... sometimes I end up with the cap a couple of holes further away - I don't think it matters for analog synth circuits. If it's a stretch between the power pin and a ground point, it's good practice to make the leg of the cap shortest on the side close to the power pin on the IC - it's not the physical closeness of the cap body that matters, but the length of wire between the cap and the IC pin (so, no, bending it won't achieve anything). Ah thank you. So the capacitor is supposed to make a short ac bridge between the sources and ground. That clarifies it. Yes. The cap serves as a small power reserve for the IC, helping reduce noise on the power/ground lines. What is a good replacement for the LM394 matched pair? Some of these are discontinued and/or expensive/only sold in bulk of 100+. If anyone could shed some light on this, that'd be great! 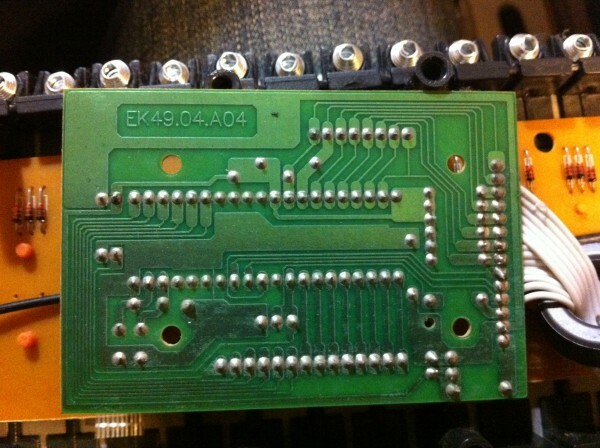 I'm searching for a DIP solution (SMT will work as well, but I'm not trying to buy a bunch of SMT-DIP adaptors). Also, 8-pin would be great, but 14-16pin >2 matched pairs would work as well. On some of the forums I read that there are replacements for the matched pairs with similar specs that come in 14 or 16-pin models. I'd really like to make a comprehensive guide (or something similar) including replacement (up-to-date) parts on Thomas Henry's designs (or maybe even come up with my own? Not likely but we'll see). 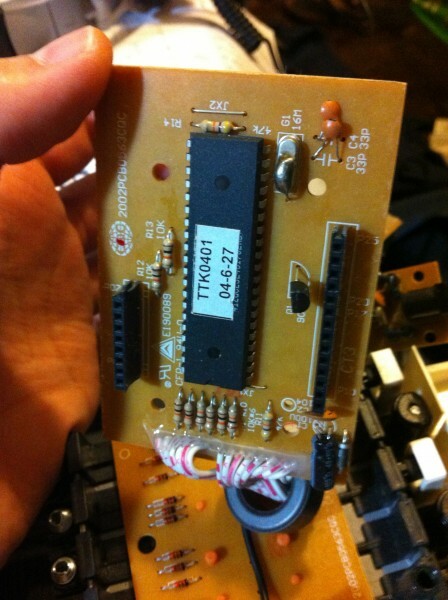 I've seemed to have found all the parts I need from around the world (from eBay, electronic goldmine, mouser, etc.) so construction shall begin as soon as I find a good replacement for these matched pairs for the XR-VCO. I also finally got some MIDI keyboards (that are broken) that are just asking to be turned into my CV input for my synth. I'm also thinking about enclosing the modules with plexiglass or some other sort of see-thru material. Any advice on the best kind of material (and the howabouts of getting one to sit nicely on the synth). I don't want any weird chemical reactions, melting plastic during some good sound designing, or slurry seal that costs me a leg. I bought 5 x LM394 from jk_parts on EBay almost exactly a year ago, and it cost me just shy of $21US. I used one of them for the el Cerrito (which is essentially the XR-VCO), and it seems like it works, however I have not tested it extensively. They are a Chinese seller and it does generally involve some risk buying from China through EBay (I bought some MN3005's for example that were bogus, but the seller did allow me to return them). the SSM2164 is a VCA, not a matched pair, so strike that out of your list. You probably could do fine with hand matched 2N3904's or whatever the BC NPN equivalent is. Search the forums here for transistor matching, and use the circuit described by Ian Fritz (I don't have the URL handy just this moment or I'd just include it), and you should be able to do well. Thomas' newer designs use that approach and work great. 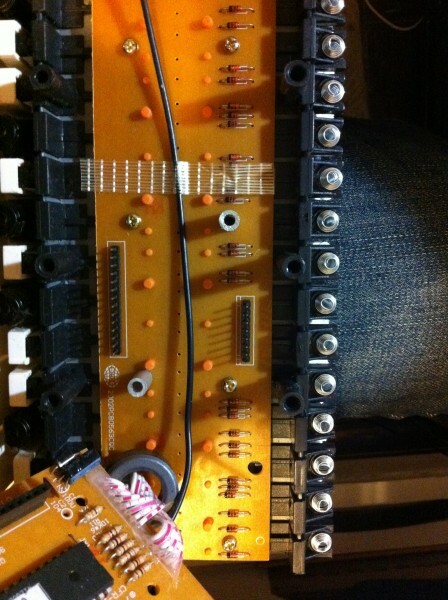 Am I allowed to post circuits of the keyboard my friend lent me to be sacrificed for this project? I've got some questions as to what I've found and would like to know if anyone has come across this circuit and how I could transform it into a 1V/Oct input for my VCO(s) as well as pull out some trigger and gate signals. It has some built in mod wheels and buttons and is connected via USB, but also can receive DC power as the main source. Your friend "lent" it to you? Does he expect it back after being sacrificed? I think a lot depends on what you are proposing to post. 1) is it a current/relatively new keyboard? If not, you probably don't have anything to worry about. 2) are the service manuals/schematics available online? If so, you definitely don't have anything to worry about. 3) are you going to post the entire schematic so someone could duplicate the whole keybaord? I would bet not, and if not, you probably don't have anything to worry about. I'm thinking about donating the project to his garage and adding it to our little crew's arsenal for taking the music world over by storm..or something similar.. haha so in a sense, yes, he does expect to see it again, but this time, evolved. Ok, somehow I was thinking Schematic, not literal circuit. Both sides of each board are important. Some idea how they are connected is important. What is the keyboard? I think you'll get the most bang for your buck looking for a service manual.